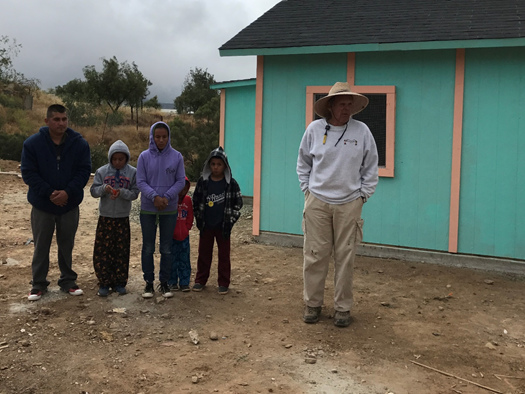 For the second year in a row Tina Borzage of the Rotary Club of Palmdale participated in the home building project in Tacate, Mexico. 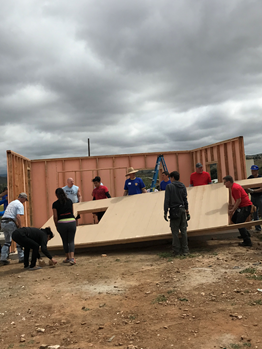 This year’s project was designated Superbuild 2017 and took place on May 6, 2017. 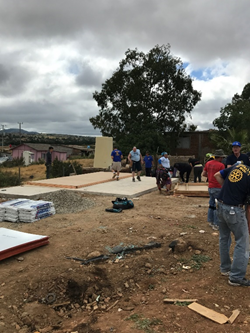 The project consists of volunteer Rotarians assembling houses on pre-poured slabs. 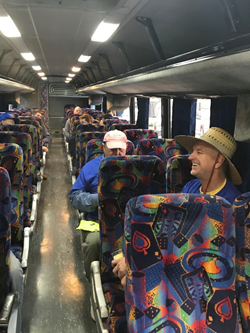 Tina, being a veteran of the 2016 build was put in charge of the painting detail and did an excellent job. 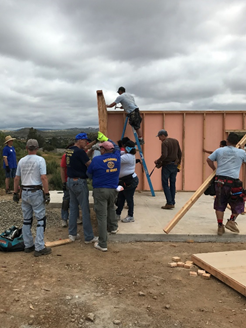 Walls were erected, roofs completed and windows and doors were installed in one day. 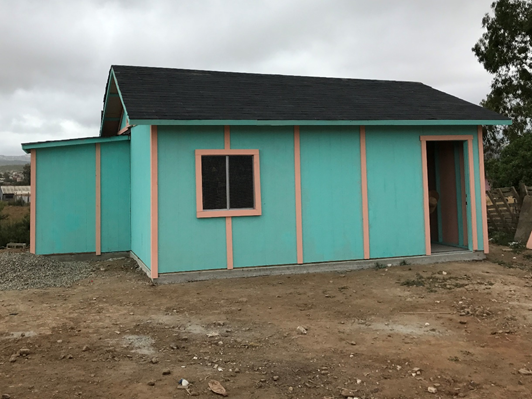 For the new owners, this was probably their first home that they could lock and secure.